Due to inclement weather on Sunday, the second half of the workshop has been moved forward one day. Sunday and Monday’s talks will now take place on Monday and Tuesday. 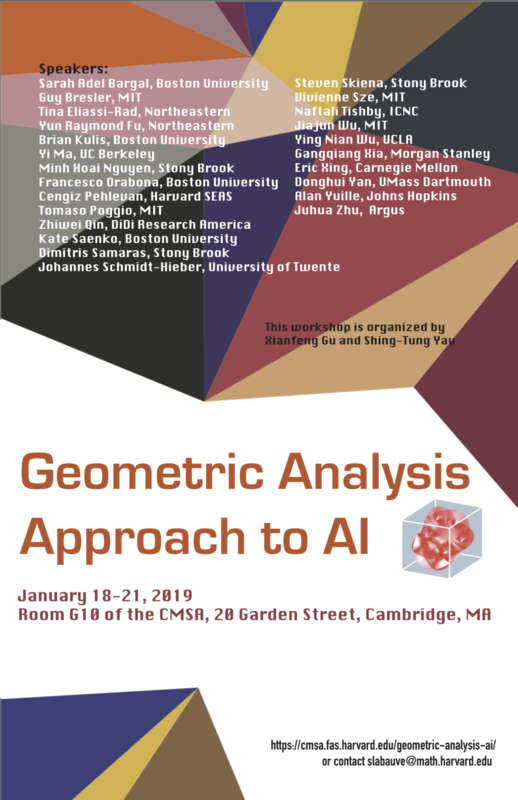 On January 18-21, 2019 the Center of Mathematical Sciences and Applications will be hosting a workshop on the Geometric Analysis Approach to AI. 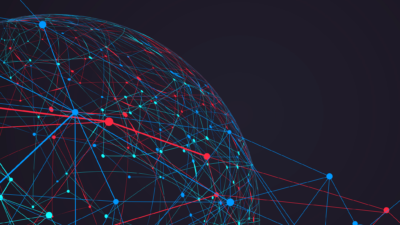 This workshop will focus on the theoretic foundations of AI, especially various methods in Deep Learning. 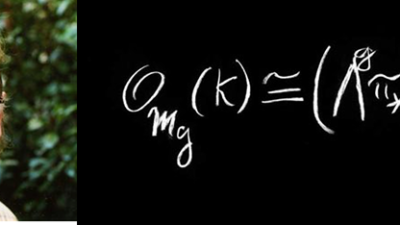 The topics will cover the relationship between deep learning and optimal transportation theory, DL and information geometry, DL Learning and information bottle neck and renormalization theory, DL and manifold embedding and so on. Furthermore, the recent advancements, novel methods, and real world applications of Deep Learning will also be reported and discussed. The workshop will take place from January 18th to January 23rd, 2019. In the first four days, from January 18th to January 21, the speakers will give short courses; On the 22nd and 23rd, the speakers will give conference representations. This workshop is organized by Xianfeng Gu and Shing-Tung Yau. The workshop will be held in room G10 of the CMSA, located at 20 Garden Street, Cambridge, MA. No talks Sunday due to inclement weather.